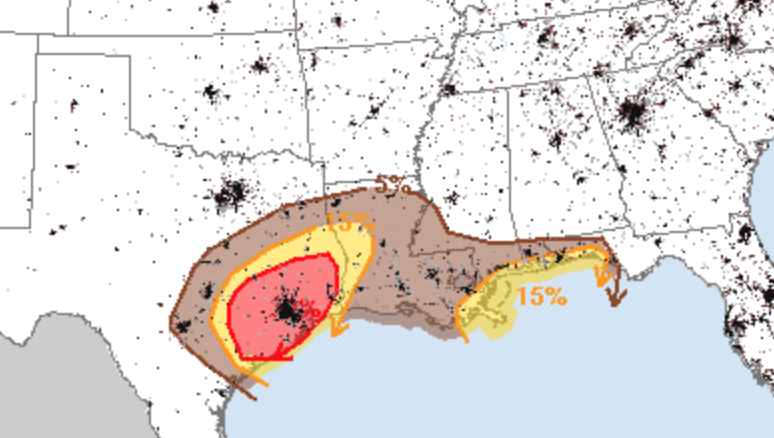 The National Weather Service is quite concerned about tornadoes as well as severe thunderstorms in the region tomorrow. Please keep in mind that 15% (yellow) is the significant threshold on this particular map. If you live in the region, please monitor the weather all day tomorrow.